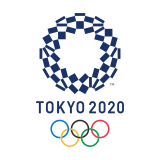 Two weeks after celebrating the “1 year-to-go” milestone to Lausanne 2020, the International Olympic Committee (IOC)’s Coordination Commission reconvened in the Olympic capital this week to provide assistance to the local organisers on the crucial 12 months ahead. As a result of the close relationship between the Organising Committee, the IOC, the City of Lausanne, regional governments and International Federations, Lausanne 2020 has capitalised on using existing world-class venues and sustainable solutions in each sport throughout Switzerland and neighbouring France. From the frozen lake in St Moritz for speed skating to the Nordic sports facilities in Les Tuffes, France. The Coordination Commission made several venue visits, including to two of the pre-existing city projects that will be used for the YOG: the Vortex, an architecturally impressive new student accommodation complex that will be used as the athletes’ village, and the Malley ice rink, the new home for the Lausanne ice hockey club which will host the Opening Ceremony and the ice hockey competitions. Both venues are well underway and on track for delivery by November 2019. Leysin, the Vaud Alps resort and host of the freestyle events, was also visited, namely LeysinPark, the newly upgraded snowpark which now includes a 22-foot halfpipe and will host the world’s best freestylers just a year from now. The venue will be tested this coming weekend (25-27 January) for the FIS Freeski and Snowboard Junior World Championships 2019, and is part of the regional plan to become a leading centre of freestyle development in Switzerland. The visit comes just ahead of the inauguration of the upgraded ski run in neighbouring Les Diablerets, which, thanks to the catalyst of the YOG, has been FIS homologated to allow it to host international events for the first time in 30 years, starting this month with the FIS Women’s Alpine Skiing European Cup. Following the ground-breaking success of Buenos Aires 2018, which set new standards, Lausanne 2020 will also lead the way by bringing new events to the programme, such as ski mountaineering, hockey 3×3 and women’s double luge, to name but a few. 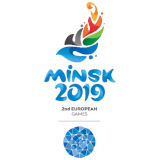 New concepts will also be tested, like the two waves of athletes approach that will ensure more elite young athletes are impacted and are able to compete at the Games; and of course, ensuring gender equality for the first time in Winter Olympic history, with equal numbers of male and female athletes. 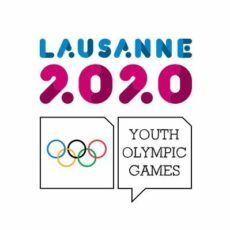 Lausanne 2020 was also able to present the multitude of activities it is undertaking with local schools, universities and colleges to ensure that the Games are by young people. For example, Yodli, the recently launched mascot, and the Look of the Games have been developed by students and chosen by athletes. The Lausanne Music School is tasked with creating the official music of the Games, and the world-renowned Lausanne Hotel School (Ecole Hôtelière de Lausanne) is very active in the development of the volunteer programme and athlete nutrition concept. The Commission members were also impressed with the integration of Swiss Olympic in the project, which is leveraging the YOG opportunity in many of its youth sport development and schools programmes. The City of Lausanne also presented its plan to produce a festival in the heart of the city, in partnership with Lausanne 2020.